Both UK and US have a lot great TV series, and those series have not only a great reputation in their own country, but also some of those are popular all around the world. Although they did and keep doing great job for TV series, each country has their unique way and different style in making TV series, and those uniqueness and style represent their own culture and media communication. For the United Kingdom, the script books of TV series are usually written by individual or pair, and since the series only can be shot after the work on script book finished, it’s has a relatively slow process in making a whole season. Usually, 6-8 Episodes would be the maximum number that can be included in a season in a year time, I would like to use some most popular TV series in UK as a example: Sherlock, 3 episodes for a season; Downton Abbey, 8 episodes for a season; Black Mirror, 3 episodes for a season. Comparing to other countries’ TV series, it’s a really small number, but all those series are so popular and had tons of compliments. Obviously, it’s so hard to believe that British producers can still have a huge success depending on the those limited number of episodes, however, look at the other side, you will see the short episodes form might be the major reason why they success. Script Writers have a relatively light pressure when they only need to finish 6-8 (or even less) episodes’ content during a year, so they can more focus on the quality of the episodes rather than quantity. For more, they usually made an episode for an hour (or more) long, so that shows will like a short movie rather than regular drama. 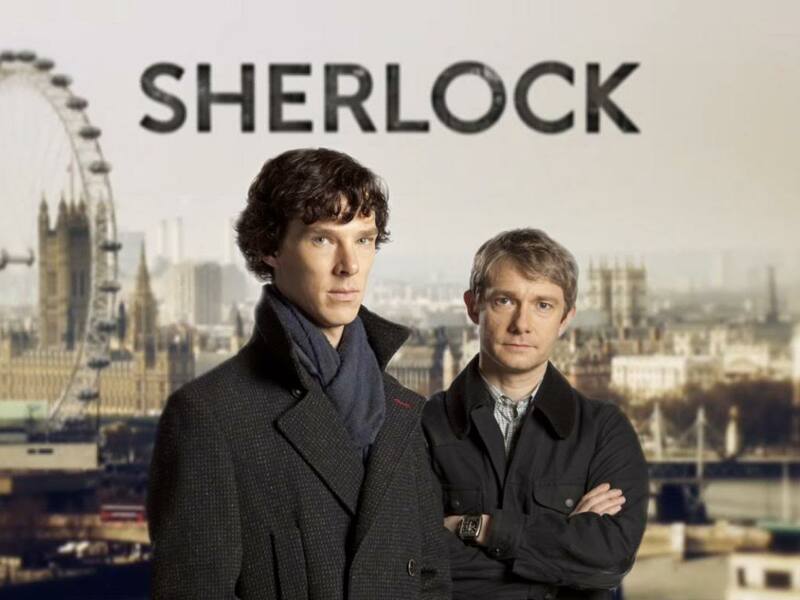 As my personal experience, when I was watching British TV series, like Sherlock, the story in a single episode is really intense and well organized, and there is no unnecessary plot or cheesy dialogue in the episode. As I can tell, you will have a movie experience when you are watch some good quality UK’s TV series. There is another reason why UK TV series impressed me: no advertising during the show. I believe in most of the country, there will be some advertising during the TV show, no matter it is entertainment shows or soaps, but in UK it’s totally different. You can imagine when you are watch TV series, and there’s no advertising to interrupt you, you definitely will have a better watching experience. For the United States, they have a really professional and fixed way to produce TV Series. In the US TV series business, they usually organized a big team to write the script book, there will be a room of writers talked about the idea and scripts and then work on each episode’s script separately. This way to produce scripts is really fast so that US TV series can always have more episodes in a season, mostly the number of episodes would be around 13 to 25. The thing that decides how much episodes will be ran on TV is not how many it will need, but more depending on how much budget and the popularity of the show. Therefore, as long as the series have a great reputation and popularity, the series will always come back with a new season next year. For example, The Doctor House, has 8 seasons and each seasons have 24 or 25 episodes, or like the Friends, has 10 seasons in total. Now you must can tell how fast they can. By the way, if the rating is not high enough, the series might be cut. Obviously, there is a really tie relationship between the financial benefit and the length of the series. I believe the other country will also consider those two factors together, but it’s more obvious and strong sense in the US. The good side of this way to run the show is that company can make more benefit and keep on the quality in some way. However, on the bad side, it will also affect the quality of the series when company want to prolong the show only because of the popularity. It’s not hard to find some cheesy and unnecessary plots in some so-called great US TV series. By the way, in every TV series, you will find there are a lot of advertising during the show, which I think is really annoying at some point. Now the TV series is not only can be watched on the TV, but also you always can watch it at some websites, like Netflix. Therefore, the TV series business competition will not only happen between the companies from their own country, but also all around the world. The series from the United States and The United Kingdom both have their own way to attract audience, however, what will happen if those shows are in the same market? Your target audience will be changed, and most important thing is that you might need to find a new way to attract audience. 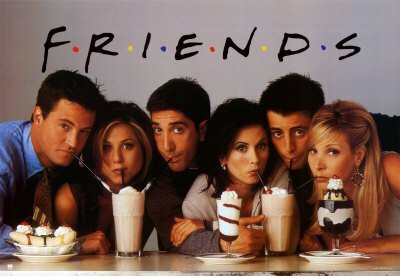 I know there are a lot people from different countries all like The Friends or The Sherlock. So how to attract more audience or try not to lose the present audience would be a challenge for both countries’ TV series business. On the other way, you can see the different values and prospective of media business from the ways they handle their TV series. In the UK, companies give more space to the produce team and trying to attract audience with the high quality shows. In the US, companies have a really professional and strict way to handle the TV series business, they treat those shows more like a business rather than television programs. They always try to make a larger benefit from the series. I don’t think there is a situation about one better than the other one, because it’s more about the differences, and those differences make people have more choices on what they really want to watch. Anyway, the really matter thing is that people like those shows and it became one of the culture symbol in those two countries, which is not only people would like to enjoy about, but also something they proud about.